Leave a Comment on What Are Binaural Beats & How Can They Affect Our Brain? Listening to binaural beats can change the frequency of our brain into another state and some people use them in order to relax more easily after an intense day at work, tap into their more creative side in order to solve a problem or work more efficiently, or even to plant affirmations into their subconscious to reprogram themselves. The five frequencies that our brain can be operating on are: Gamma, Beta, Alpha, Theta, and Delta. If our brains were constantly operating in a state of Beta we wouldn’t allow our bodies time to relax and heal themselves. If they were constantly in a state of Delta we wouldn’t be able to think properly or learn things. Then once you get to work, there might be a very challenging project you have to work on. When you have to really use your brain for more difficult problem-solving tasks you might enter the Gamma state. Once you get back from work you become more relaxed and may go from the Beta state into the Alpha state. If you went home and switched on the TV, you would likely switch to Alpha within a minute of watching it. ² Or if you meditated before bed you might slip into the Alpha, Theta, or Delta state. When you sleep your brain doesn’t just stop processing; it actually starts to process more. You may end in REM sleep and start dreaming, which would be the Gamma state. When you become lucid in a dream you may end up in the Gamma state. Some researchers found lucid dreamers as high as 40 Hz. A binaural beat (or binaural tone) is an auditory illusion that occurs when you are listening with headphones to two different pure tone sine waves, both with frequencies lower than 1500 Hz, with less than a 40 Hz difference between them. ³ This effect was discovered in 1839 by Heinrich Wilhelm Dove. The word binaural means “having or related to two ears”, the “bi” portion of the word is for two and the “aural” portion is related to ears. 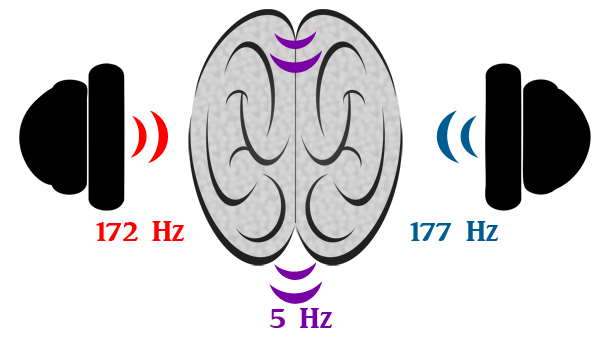 If you hear the frequency of 172 Hz on one side, and 177 Hz on the other side through headphones, your brain makes up the difference, 5 Hz. That is the resonating pulse you hear when you listen to them. If you take off one ear bud, you’ll just hear a regular tone, and the same goes for the other side. But when you’re listening to both sides at once, your brain starts to make up that difference. If you play the tones through a stereo rather than headphones the tones will mix, and you’ll hear the sound, but your because you are hearing the sound, you brain doesn’t make up the difference. If it wasn’t for our brain’s “Frequency Following Response” (FFR) listening to binaural beats would just be an interesting listen. But once the brain starts to generate the difference between the two tones (the binaural beat), then your brain starts to mimic or follow the wave that you’ve selected to listen to. This is also called Brainwave entrainment. So if you’re really stressed out and want to meditate, you can listen to binaural beats in the Alpha, Theta and/or Delta range. Some binaural beat tracks will take you through many different stages to ease you into a deeply relaxed state. Other people choose to listen to binaural beats in the Gamma state for working on assignments for work or school. Some use binaural beat tracks to get into lucid dreams while sleeping. What Can Be Some Dangers of Binaural Beats? Though the majority of people can engage in binaural beat therapy without any issues, those with neurological or cardiac issues should be cautious. If you’re prone to seizures, you should be wary or contact a healthcare professional concerning it. Be mindful that, if you were thinking about using binaural beat therapy for your children, they are more susceptible to seizures than adults. Changing your brainwaves can also affect your heart rhythm. If you have heart problems or wear a pacemaker, you should consult a healthcare professional before attempting binaural beat therapy. It’s not recommended to take drugs that might negatively affect you at the same time as using binaural beat therapy as you don’t know what kind of side effects could occur and if you go into one of the more relaxed brainwave states you won’t be thinking as clearly if you need to deal with side effect issues. Using binaural beat therapy to get into the lower states of consciousness lowers your ability to think clearly. You wouldn’t want to be as “out of it” as you are when you’re in a deep state of sleep and at the same time be driving on the road at 60 mph. If you need to think clearly in order to perform a task such as cooking (handling hot items), going to court, school, or work, etc., then you shouldn’t use binaural beat therapy right before doing those things or during them. It’s not recommend to use binaural beat therapy while pregnant. Children are more susceptible to seizures, and a baby’s heart could be affected from the change of frequencies going on in the mother’s body. If you have a psychological disorder you may want to consult a healthcare provider first. Some people with bipolar disorder experienced problems and needed to stop using binaural beat therapy. The Theta brainwave has to do with feeling raw emotions, and that can be very therapeutic, but it can also be too much for someone who’s currently working on these issues even without the use of binaural beat therapy. Some people report getting headaches. It may be from the specific frequency used in that binaural beat track, so when you don’t have a headache on another day you can test out other tracks out with different frequencies. It may be because you’re having increased blood flow into the brain and causing a vascular headache. If it’s a matter of blood flow to the brain increasing it may go away after a few weeks. If you continue to notice headaches from it, then refrain from using binaural beat therapy. People have discussed feeling affects of binaural beats after they’ve listened to binaural beat tracks. One example would be listening to a track for lucid dreaming before going to bed, and then having a lucid dream that night. In the case of lucid dreaming you might think you need to listen to the track while asleep to become lucid, but in this case the person did not need to be listening at that exact moment. This shows that you don’t need to listen to the binaural beats continuously to keep feeling the effects. At the beginning of this article I pointed out that each stage is beneficial. You don’t want to always be in a restful state of mind if you have lots of projects to handle, and you don’t want to be constantly thinking and figuring things out when it’s time to sleep. Our bodies can handle switching through the various states by themselves, but today we have cognitive overload compared to just 100 years ago. Sometimes people can use a little help. When using binaural beat therapy pay attention to how it affects you personally. Below I’ll list the various states and what can happen if you have too much of one state. When you listen to binaural beats, pay attention to see if you’re having symptoms of being in one state for too long, and take breaks if needed. The recommended listening time is up to 90 minutes, once a day or every other day. But pay attention to how you react to it and use it less or stop completely if you experience any negative effects. The frequency of Gamma waves are about 30 to 60 cycles per second. They can be higher; some people reach 250 Mhz. There was a study on Tibetan Monks meditating and “some of the monks produced gamma wave activity more powerful and of higher amplitude than any previously reported in a healthy person in the neuroscience literature.” (Meditation and HD) Lucid dreamers were studied and found to hit 50 Hz while lucid. When we sleep we go into the Delta state (the lowest frequency waves) but when we start to dream and become lucid (aware that we’re dreaming in the dream) then our brainwaves become higher and more frequent than they usually are during our awake life. Now some people reach this Gamma state while creatively solving a problem that’s been bothering them, but it’s interesting that people might be able to reach this state more while dreaming than while awake through lucid dreaming. This is the state where we become amazing problem solvers and can think clearly and effectively. You can have great memory recall or hit transcendental states of being. You can process more information or stimuli in this state too. We’re usually in Beta while awake, not Gamma, but when inspiration strikes, you might be hitting Gamma. Some people listen to Gamma binaural beats to study or while they’re working on a project that’s been bothering them. According to this study, “The Aha! Moment, The Cognitive Neuroscience of Insight,” led by John Kounios at Drexel University and Mark Beeman at Northwestern University, Gamma waves are positively correlated with “Aha!” insight moments. If you’re in the Gamma state too long you may think too much, so you may become stressed out, anxious, highly aroused (overly stimulated) as you’re able to process more information than normal. If you’re not reaching it as often as others normally do, then you might not be as creative at solving problems, have learning disabilities and you might not be as aware of your surroundings or relationship interactions. The frequency of Beta waves are about 14 to 30 cycles a second. This is where we are generally throughout the day responding to outside stimuli. This is an alert and engaged state of mind. The higher end of 23 to 30 Hz you might engaged in a new experience or an exciting situation where you’re taking in everything, or you might be solving a more difficult problem that requires a highly complex and/or creative solution. The lower end of 14 to 22 Hz you would be actively thinking about a general problem and searching for a solution, or having intellectual discussions with people. You might us a Beta binaural beat meditation to start your morning, to get your mind moving out of the groggy waking up phase. If you’re in Beta too much of the time, you might be stressed out, overly stimulated, inability to relax, thinking too much, over analyzing things, and you may experience some health problems such as hypertension, increased heart rate, increased blood flow, cortisone production and glucose consumption. If you’re not reaching Beta you may have an inability to focus (ADHD), not be able to think clearly, groggy, daydreaming, inattentive, etc. Alpha waves are slower than Beta waves and higher in amplitude. The frequency of Alpha waves are about 9 to 13 cycles a second. This is the state you’ll find yourself in if you have just completed a task and sit down to relax, such as pulling out a phone to look at while sitting in traffic, or resting after cleaning the house. When someone starts to meditate they will usually be in this state first. This state is a good state to think about affirmations or do some visualizations. Alpha wave binaural beats could be used before bed, or perhaps when you take a break to meditate or just calm down after some excitement that got you a bit stressed. If you’re in Alpha too much of the time, you might be overly relaxed and daydreaming a lot. You might not be able to think clearly or stay focused on what you want to accomplish. If you’re not reaching Alpha you may have a lot of stress, over thinking, anxiety, OCD, or insomnia. Theta waves are even greater amplitude and slower frequency than Alpha waves. The frequency of Theta waves are about 4 to 8 cycles a second. This is a more meditative or daydreaming state which leads to great inspiration. This is the state you may end up in when you are driving and experience highway hypnosis or “zone out” in general. You may come up with creative ideas or solutions to problems in this state, perhaps while driving, running, taking a shower, etc. Those sorts of tasks can be so routine that you mentally disengage from them into a meditative trance state. In this state you may be more “highly suggestible” which makes it good for subliminal message meditations. Here you can reprogram yourself while listening to affirmations. 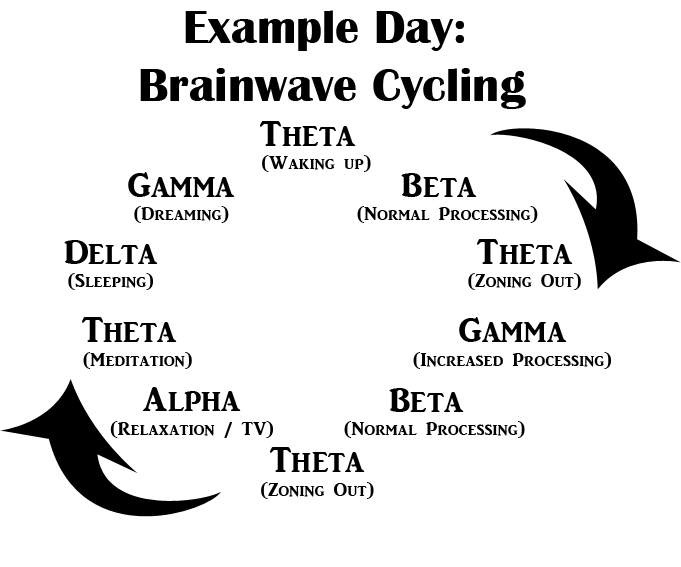 Theta can be induced in light sleep, hypnosis, and sensory deprivation tanks. Theta wave binaural beats would be good before bed but would not be appropriate for starting your day if you have things you need to do. If you’re in Theta too much it can lead to depression, inattentiveness or hyperactivity, impulsivity, and ADHD. If you’re not reaching Theta you may have anxiety, poor emotional awareness, and stress. Delta waves become the greatest amplitude and are the slowest waves. The frequency of Delta waves are 4 or less cycles a second. This is the state we get into when we fall into a deep sleep. They never go down to 0 cycles a second because that would mean you were brain dead, but they are usually around 2 to 3 cycles per second. Experienced mediators have been known to reach this state through meditation. These waves are found more often in babies and children. As adults we tend to spend less time in Delta. This is the best state for healing the body. When people want to meditate, they might find it hard to quiet their mind. Extra thoughts can cause stress on the body. In the Delta state you won’t have that constant flow of thought, so the body can rest and repair itself. Adequate production of Delta waves at night help us feel refreshed from a great night’s sleep. Today often we have many different frequencies around us and don’t reach as deep a sleep as we should. If you’re constantly waking up at night you might not get as much Delta-wave sleep as someone else. A Delta binaural beat during sleep can help you get relaxed so your body can heal itself. Obviously you wouldn’t listen to a Delta binaural beat when getting ready to start you day. If you are in the Delta wave state too long it’s associated with learning disabilities, brain injuries, an inability to think, reason or solve problems. 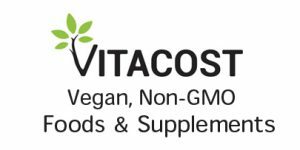 If you’re not getting enough Delta, you’re not going to be able to have a relaxed sleep, and the body has a hard time repair itself, so you may end up with health issues. You may end up with a muddled mind because you’re not letting your brain rest, which is why when people don’t sleep (insomnia) they find it harder to think clearly. Binaural beats can help you reach states of consciousness to help heal your body, mind, or be able to concentrate and become a better problem solver. You can also reprogram your brain with affirmations through subliminal meditations along with a binaural beat track. So long as you pay attention to how you feel, binaural beats can be very helpful in training your brain. Previous post: What Does The Bible Mean When It Says Fear the LORD (YHWH)?